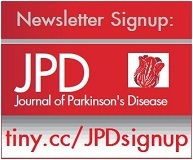 The Journal of Parkinson’s Disease is proud to announce an exciting new section entitled “How I Examine My Patient”, dedicated to the art of the neurological examination. The critical basis for clinical reasoning and decision-making is a properly performed, detailed physical examination combined with careful history taking. In this regard, good clinical skills are important for any medical profession, but particularly for clinical neurology, not least the subspecialty of movement disorders. Showing videos of patients with involuntary movements consistently provokes intensive debate among delegates in the audience. Importantly, such debates concentrate not only on the nature of the observed abnormalities, but often also about the techniques used to elicit particular neurological symptoms (using clever questions) or signs (using specific tests or tricks). Anyone who has ever attended a Grand Rounds session in clinic or perhaps at a medical conference must have been struck by the variability in techniques and methods across different clinicians, and by the different outcomes that are produced as a result. And performing a clinical exam the right way does really matter. For example, deciding whether or not bradykinesia is present depends critically on the presence of decrement in amplitude with repetitive movements, but in order to judge this properly, the number of repetitions must be sufficient (up to 64 according to the Queen Square approach);  stopping the test too quickly might lead the clinician to conclude falsely that there is no bradykinesia. The pull test is another example of a widely used clinical examination where the outcome potentially has great implications (it is part of the Hoehn and Yahr staging system, and a possible predictor of falls). How hard should the examiner pull (or perhaps push, as some have advocated), should the patient be warned beforehand, and what response really counts as an abnormal test result? Many variants exist, [2, 3] and no doubt they are the source of variability in outcome. Details about how to perform certain clinical tests can be retrieved from standard neurological textbooks, but many useful clinical tips and tricks have simply been transmitted from teacher to student (who later pass on their knowledge to their own students). Unfortunately, such clinical pearls were typically never laid down in accessible form for a broad readership. This motivated us to start a new section in the Journal of Parkinson’s Disease, where clinical experts will offer a practically oriented description of how (and why) they perform a specific element of the neurological examination. This pertains not just to the physical exam, but to all elements of the interaction with patients, including the medical interview.Talking to patients and trying to elicit the right information is an art in its own right. For example, it is not uncommon to encounter a Parkinson patient with falls at home that are spontaneously reported as simply having occurred “spontaneously”. How should one phrase the questions to this patient just right, in order to have the greatest certainty that these falls were caused by loss of balance, by freezing of gait, or by a brief preceding loss of consciousness? Making this distinction can have great clinical implications, because the clinical management of these three fall types will be very different. The clinical arts also extends to the call for (and interpretation of) ancillary tests. When is a presentation of Parkinson’s disease atypical enough to warrant the call for a cerebral MRI scan, or possibly even a more costly DAT scan, and when is the presentation sufficiently typical to refrain from any further ancillary tests? And while ordering the test is relatively easily done, the interpretation is not always straightforward, and it certainly requires a considerable degree of expertise to properly judge all the intricacies of e.g., a cerebral MRI in a patient with parkinsonism . Finally, a great deal of expertise is required for the proper delivery of therapeutic interventions. The following example may serve to illustrate the challenges in this regard. External cueing (using rhythmic visual or auditory cues) is now an evidence-based strategy to improve gait and reduce freezing of gait in patients with Parkinson’s disease,  but this treatment should not be offered as a one-size-fits-all intervention to all patients, as patients with or without freezing may respond oppositely to a given cueing rhythm, . Experienced physiotherapists know this, but just how they apply such knowledge in their clinical practice remains elusive for many therapists. With the introduction of this new section, we hope to offer the readers of the Journal of Parkinson’s Disease a glimpse into the examination room of experienced clinicians. 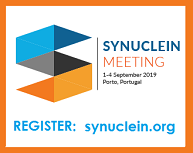 Apart from offering a good read, we hope that this section helps to improve the clinical skills of physicians, allied health professionals and other professionals involved in the care for patients with Parkinson’s disease or a form of atypical parkinsonism. Improving expertise remains important, not the least because patients understandably wish to be seen by an expert with good knowledge of their disease and specific individual problems [7, 8]. Additionally, research has shown that experts deliver better care and reach better health outcomes in Parkinson’s disease than less experienced colleagues [9–11]. This issue of the journal contains the kick-off for this new section, with a paper describing the importance of simple tests such as riding a bicycle or performing the tandem gait test for the differential diagnosis of Parkinson’s disease versus atypical parkinsonism.We extend an open invitation to readers of the journal to put the pen to paper and submit their contributions for this new section to the journal (see the Instructions for Authors section for further details). BRB and PB have no conflicts of interest that are relevant to this publication. Abdo WF, Van de Warrenburg BP, Burn DJ, Quinn NP, & Bloem BR (2010) The clinical approach to movement disorders. Nat Rev Neurol, 6, 29-37. Munhoz RP, Li JY, Kurtinecz M, Piboolnurak P, Constantino A, & Fahn S et al. (2004) Evaluation of the pull test technique in assessing postural instability in Parkinson’s disease. Neurology, 62, 125-127. 4] Schrag A, Good CD, Miszkiel K, Morris HR, Mathias CJ, & Lees AJ et al. (2000) Differentiation of atypical parkinsonian syndromes with routine MRI. Neurology, 54, 697- 702. Rubinstein TC, Giladi N, & Hausdorff JM. (2002) The power of cueing to circumvent dopamine deficits: A review of physical therapy treatment of gait disturbances in Parkinson’s disease. Mov Disord, 17, 1148-1160. Willems AM, Nieuwboer A, Chavret F, Desloovere K, Dom R, & Rochester L et al. (2006) The use of rhythmic auditory cues to influence gait in patients with Parkinson’s disease, the differential effect for freezers and non-freezers, an explorative study. Disabil Rehabil, 28(11), 721-728. Bloem BR, & Stocchi F (2012) Move for change part I: A European survey evaluating the impact of the EPDA Charter for People with Parkinson’s disease. Eur J Neurol, 19, 402- 410.
 van der Eijk M, Faber MJ, Al SS, Munneke M, & Bloem BR. 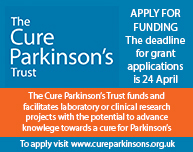 (2011) Moving towards patient-centered healthcare for patients with Parkinson’s disease. Parkinsonism Relat Disord, 17, 360-364. 10] Willis AW, Schootman M, Evanoff BA, Perlmutter JS, & Racette (2011) BA Neurologist care in Parkinson disease: A utilization, outcomes, and survival study. Neurology, 77, 851-857.
 van der Marck MA, Bloem BR, Borm GF, Overeem S, Munneke M, & Guttman M (2013) Effectiveness of multidisciplinary care for Parkinson’s disease: A randomized, controlled trial. Mov Disord, 28, 605-611.